Lebanon’s Prime Minister Saad Hariri on Tuesday expressed his gratitude for China’s funding for a new conservatory in Lebanon. “I want to thank the Chinese Ambassador to Lebanon Wang Kejian for this gift that we regard valuable for Lebanon and its culture,” he said during a ceremony to sign the project deal at the Grand Serail. “It is a tangible effort to revive Lebanese culture,” Hariri said, adding that the music institute would be the first project of many cultural initiatives set for 2018. 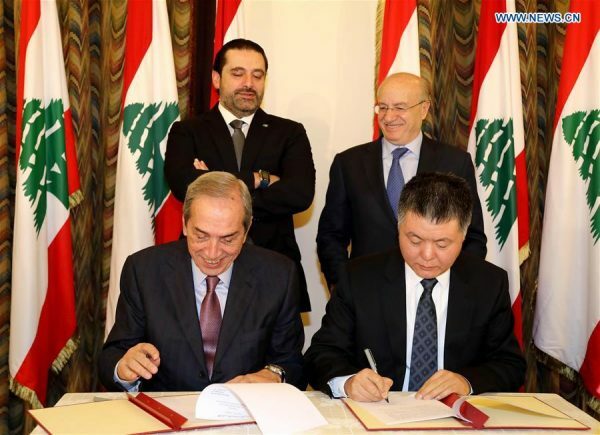 Wang noted that China has provided to Lebanon about 100 million U.S. dollars in aid since 1996. He said the country has also provided humanitarian assistance to the Syrian refugees in Lebanon. Even Auschwitz had an orchestra, but also a swimming pool, theater, library, and many other such facilities to rehabilitate the inmates. Didn’t Hitler waste his money? What ‘Auschwitz’ is doing on an article about with China’s funding of a new conservatory in Lebanon?